Loré Loré will be returning to the markets, one last time for this year on Sunday 7th Dec at New Craft @ Queen Victoria Market!! Organised by Craft Victoria, NEW CRAFT is a monthly curated art and craft market, devoted to represent the Art of Handmade in Victoria. Loré Loré has been overjoyed to have been apart of New Craft for the last two months of this year, since returning to the Market scene. This is your last chance to see and purchase in person Loré Loré goodies before Christmas! If you're looking for something special for a loved one, this is your chance to grab an unique knitted wallhanging, or a fabulous floral headpiece, or lavish on a sassy new outfit from the summer Sandstorm range. 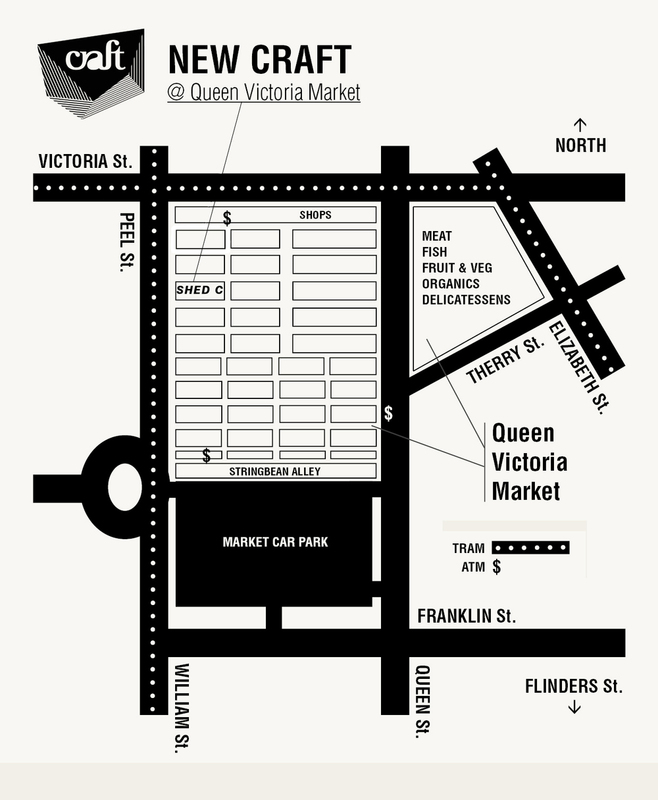 Located in Shed C of the Queen Victoria Market from 9am-4pm.